Winter's here and for many that means cold air and (eek!) dry skin. 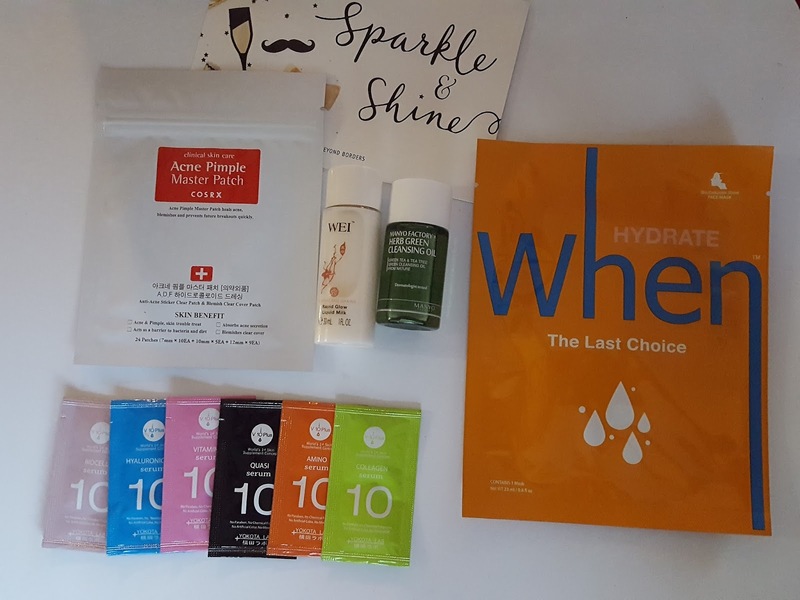 Now's the time to really treat your skin to some major TLC, and lucky for us 3B Box subscribers Asian beauty is huge on moisturizing. Lots of Asian skin care products serve dual purposes, one of them being hydration. I don't doubt that there will be quite a bit of that going on in this month's box. 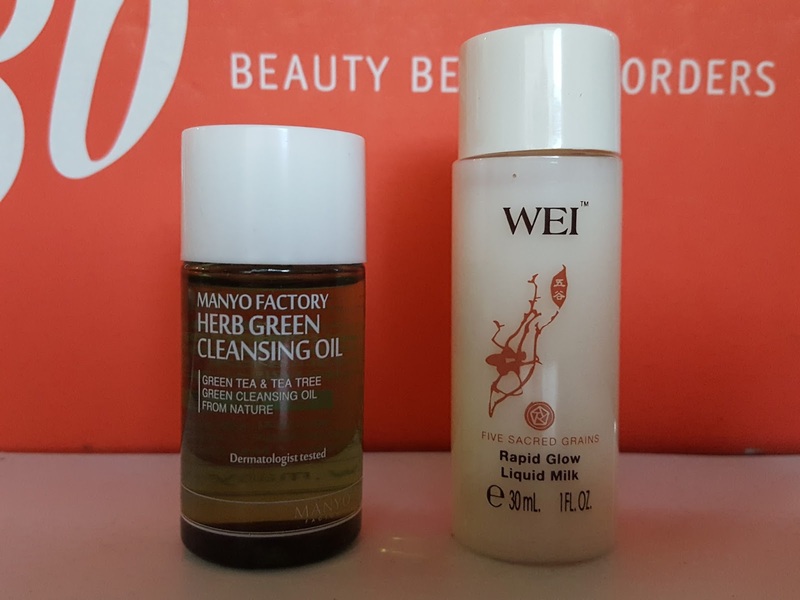 Manyo Factory Herb Green Cleansing Oil - Cleansing oils are my favorite beauty find ever. This one contains tea tree oil, green tea oil, jojoba oil, sage oil, rosemary leaf oil, and lavender oil to soothe and calm skin. I'm not a huge fan of the scent (it's a bit too herbal for me) but the list of ingredients sounds so impressive that I'm willing to overlook my nose's protests. Wei Beauty Five Sacred Grains Rapid Glow Liquid Milk - Rice, millet, sorghum, Job's tears, and black soybean come together to energize, brighten and balance uneven skin. After cleansing, pat a few drops into your face. The consistency is thicker than I expected but it absorbs quickly and left my skin feeling really soft. The scent is a cross between baby powder and coconut water - interesting combo, but not bad at all. 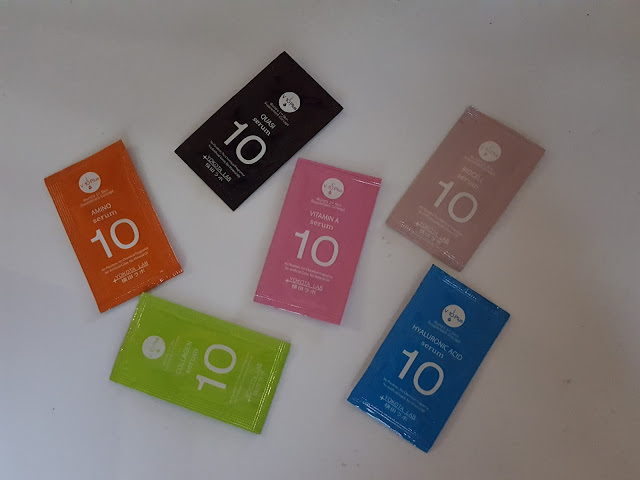 V 10 Plus Serums - If you've ever poked around in Asian skin care you probably noticed that there's a serum for just about everything. Serums usually address a specific need, whether it's to moisturize, brighten, or to fight blemishes or wrinkles. The serums pictured above are from Japanese brand V 10 and comprise only about half of the serums they have to offer. Shown above are hydrating serums (hyaluronic acid-blue, collagen-green, amino-orange), whitening serums (vitamin A-pink, quasi-black), and an anti-aging serum (biocell-mauve). For more info on their serums check out V 10's serum page. When The Last Choice Sheet Mask - This bio-cellulose mask is made from coconuts and is infused with hyaluronic acid and ginseng extract to keep your skin plump and moisturized. I was once on a terrible mask binge which resulted in several overflowing boxes and not enough days to use them. In order to downsize my stash I had to figure out which ones worked for me and which didn't. 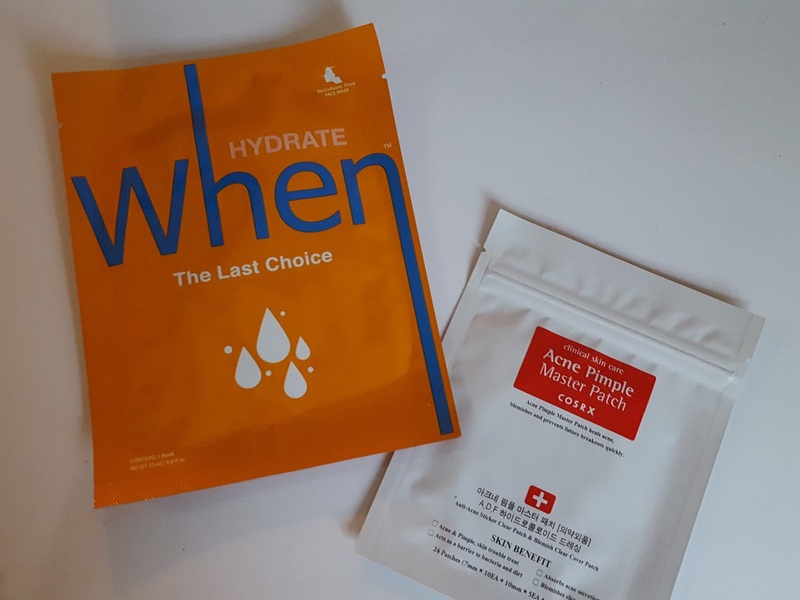 Turns out the intensely hydrating masks like the ones When makes are way too much for my skin to handle so unfortunately this will be finding a new home with someone who can appreciate it more. CosRx Acne Pimple Master Patch - Ah, pimple patches. If your skin enjoys to break out then you no doubt know the struggle of finding the perfect zit-fighting solution. Pimple patches work by coaxing the yucky stuff out of your skin while also forming a physical barrier against the occasional fingernail that will inevitably pick at it. A couple of months ago I used up my last A'pieu Tea Tree Spot Patch and my overall impression of it was not great. In my opinion, it did not contain any of the yuckies and my pimple did not shrink even after three straight days of using it. BUT. I am willing to give these CosRx patches a chance because I like the brand. I hope the results are better this time around! Verdict: Aside from the mask, I think I'll be using everything in here (yay!!). I rarely turn down a cleansing oil and I'm pleasantly surprised that the milk isn't overly hydrating. The serums have garnered my interest and I'm already looking on the V 10 website at what else they've got. I'll probably end up decanting them into tiny vials because a little goes a long way when it comes to serums and one of those tiny packets can probably last me about five uses. Plus, you wouldn't want to waste any of it after finding out that just 10ml of this stuff costs about $70! If these things sound like something you'd like to try, click here to subscribe to 3B Box. For $15/month (free shipping) you can have it sent anywhere in the US.